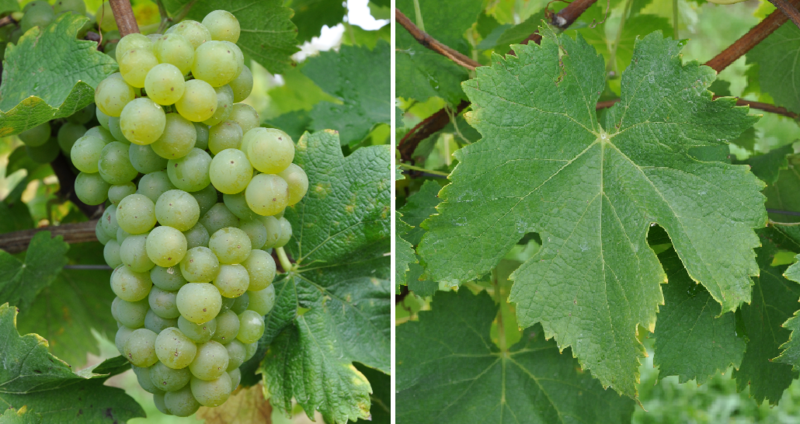 The white grape variety comes from the border area Italy / Switzerland, Synonyms are Great Lafnetscha, Small Lafnetscha, Lindauer, Malans, Malanserrebe, Malanstraube, Malansertraube, White Malanstraube and Zürirebe. The variety already mentioned in 1321 in a document of the Cathedral of Chur (after other source already 926). The name of the eponymous wine derives from the evening prayer "Completorium", after which the strong wine used to be drunk by the monks of the cathedral chapter Chur during Lent. The parents of the variety are unknown. Allegedly, the variety of Benedictine monks of the monastery Pfäfers from St. Gallen from Italy to Malans in the canton Grisons introduced. The Italian origin is supported by the fact that it is between Completer and the Italian varieties Marzemino and Pignolo Spano has family ties. In Switzerland, Completer becomes a grape variety group Old plants counted. By several DNA analysis the descent of some of these varieties was clarified. Probably natural crossing Completer x Humagne Blanche is Lafnetscha emerged. From intersections between Completer x Bondola are the varieties Bondoletta and Hitzkircher emerged. The medium to late ripening vine produces a strong alcoholic wine with aromas of quince and orange blossom. It was almost extinct in the middle of the 20th century, until a vine was selected from an old stock and multiplied. This vine still stands today against a wall at the "Completerhalde" in Malans. Small acreages are available in the cantons Grisons (2 ha), Ticino and Zurich, In 2002 Visp was also visited in the Wallis discovered a stock together with the variety Lafnetscha. In 2010, only three hectares of vineyards were reported (Statistics Kym Anderson ). This page was last modified at 7 April 2019 at 16:41.